In Andy’s backyard, he has built something special out of his Mega Coaster Play Kit — the Slinky Dog Dash coaster! This attraction looms over most of Toy Story Land, and regardless of what anyone says, it will likely be one of the most popular attractions at Disney’s Hollywood Studios for the next couple of years. Standing in line for Slinky Dog Dash will easily be the worst part of the entire attraction. For some reason, Disney Imagineers didn’t think guests visiting hot and humid central Florida would want an indoor queue. Being that this is a brand-new attraction which many guests are excited about, it is likely that this ride will have a wait time of over two hours. Guests aren’t likely going to be thrilled to know that they’ll be sweating it out in the open Florida air. The queue is themed with giant blocks, Crayola crayons, and pieces of the Mega Coaster Play Kit that make up the track. Much of the shaded section of the queue is inside the Slinky Dog “cardboard box.” While there are some immersive elements, the line does feel like a zig-zagging corral — which wasn’t an issue for the media day, but likely will be for guests waiting in line for two hours once this land opens on June 30. 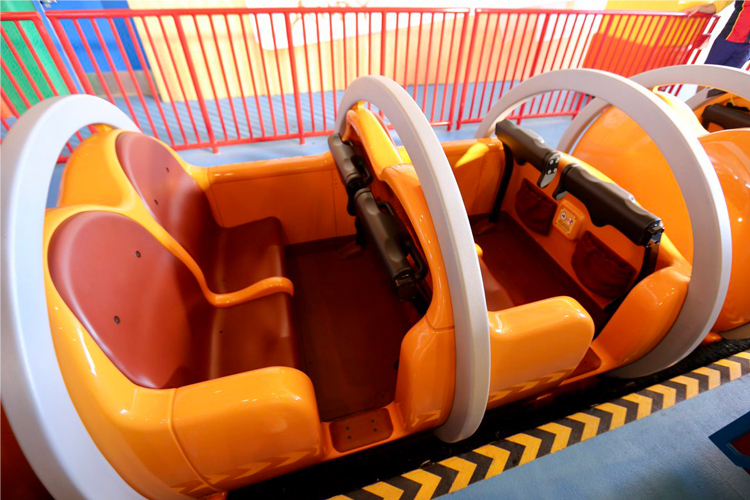 At the very beginning of Slinky Dog Dash, the ride vehicle is launched into one of the tallest peaks of the coaster. 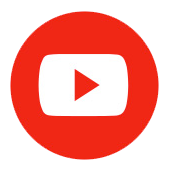 You then coil around a giant set of blocks, which Rex is standing on top of. Next you come to the second launch, which features flashing lights, sound effects, and a tunnel of signs overhead that reads “Go! Go! Go!” Immediately following the launch, the coaster goes up overlooking the construction of Star Wars: Galaxy’s Edge! The ride concludes with a few more dips and curves before you are welcomed back into the unloading station by giant versions of Mr. Mike and Wheezy. The smooth bends go way more horizontal to the ground than I was expecting, and it certainly made the ride more thrilling. The seats were fairly spacious and comfortable; they featured separate lap bars for each guest. Of course, like most Disney rides there is also a pouch to hold your personal items. 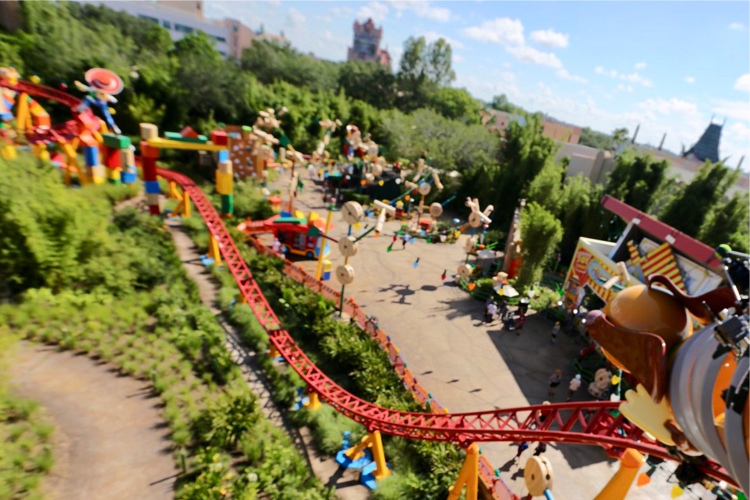 Slinky Dog Dash hits that sweet spot where children can ride it without being terrified, but it is still an amusing attraction for adults. It isn’t quite as thrilling as Big Thunder Mountain Railroad, but it is a step above The Barnstormer featuring Goofy as the Great Goofini. I highly suggest riding Slinky Dog Dash at night. The entire track is filled with lights, and if you time it up perfectly you’ll have an amazing view of the Star Wars: A Galactic Spectacular Fireworks! You’ll have a great time on Slinky Dog Dash any time of the day, but at night it is brought to another level. What many thought would be a kiddie-coaster turned out to be an extremely fun, moderately thrilling, and smooth coaster! Many were skeptical of this attraction (including myself), but I am happy to say that I was wrong. 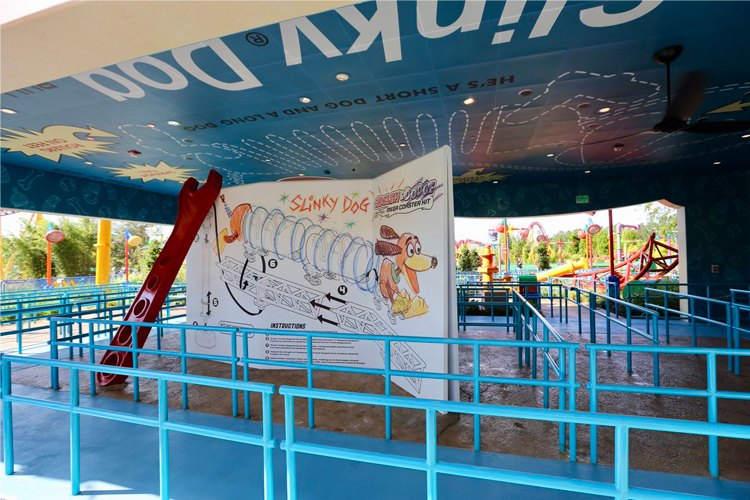 If you are looking to find faults in Slinky Dog Dash, you can, but this ride is just good old fashioned fun, and I don’t think any of those small flaws outweigh how enjoyable it is. 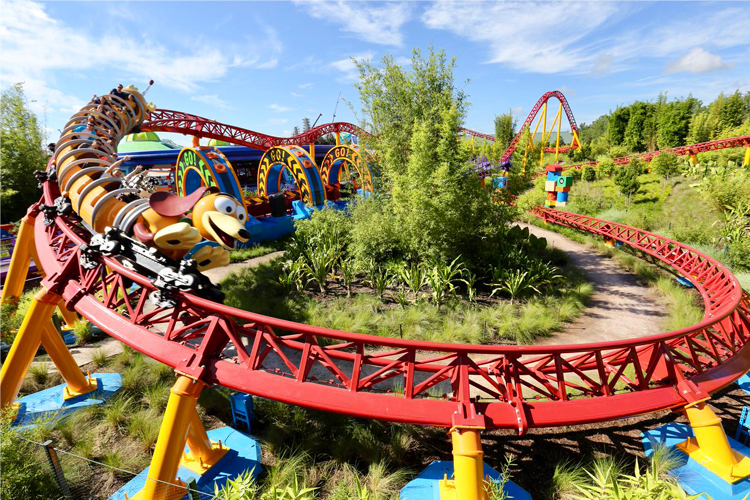 There are certain Disney rides you can’t help but smile on, and Slinky Dog Dash is one of those attractions. 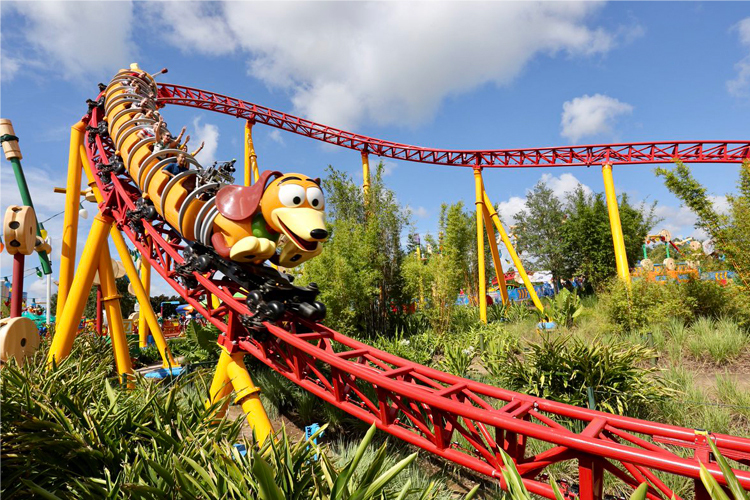 Slinky Dog Dash is not the tallest or fastest roller coaster in Orlando, but it is still surprisingly sizable for a family-friendly ride. Until I saw it in person I didn’t realize that this ride takes up about half of the land. I was pleasantly surprised at how enjoyable this ride was, but by no means is it perfect. Like I mentioned,the queue really should have been indoors so that it could have air conditioning. I also think it could have used more theming elements; some of the cutbacks that were seen from the original concept artwork but never fully realized would have been a welcome addition, really making this ride reach its full potential. With all of that being said though, this is still a great addition to Disney’s Hollywood Studios, and will certainly be a guest favorite for the next couple of years.